Gift Guide: Staff Gift Picks + Holiday Shipping Deadline! With Christmas only 10 days away, the pressure is on to find the perfect gift. 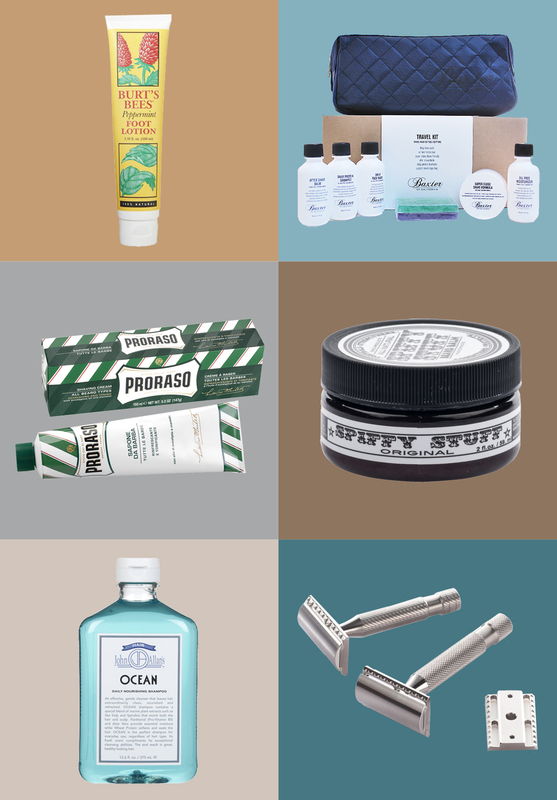 So today the team at RoyalShave will be sharing our favorite things to give the dapper man…enjoy! Important Reminder: The RoyalShave holiday shipping deadline is December 19th at 12 PM! Please place your order by this date for guaranteed Christmas delivery. Who doesn’t like a foot massage? This is a great stocking stuffer that keeps giving year-round. As with all Burt’s Bees products, the ingredients are 100% natural (peppermint and coconut oils to name a few), and the lotion is so soothing to tired holiday feet. When you soothe your feet, you soothe your soul! This is a great starter kit for those on the go or who just want to try out the Baxter of California brand. It’s TSA approved, has all the essentials you would need for a trip, and is very well made. Proraso is a favorite among the men that shop at Royalshave.com. The scent is refreshing and I’ve heard from our customers that it leaves your skin smooth and soft after shaving. This shaving cream foams and frothes very well so you are getting a close shave. The packaging is great, too, and it’s travel ready. This beard balm conditions the beard almost instantly and works for a few days. I like this one in particular because it will also tames some whiskers without feeling heavy like some beard waxes. I like it a notch better that beard oil because you can apply it carefully without leaving much on the skin itself. Damn good! One of my favorite places to be is right by the ocean, so this ocean-scented shampoo is perfection. It’s also gentle enough for all hair types and even contains marine plant extracts like spirulina and sea kelp to moisturize while cleansing. I may just steal some from my boyfriend after I give this to him! Above The Tie is one of the few US-based safety razor makers. This set is my personal favorite for the quality stainless steel construction and the ability to change out the level of aggression on the head to suit my current shaving needs. Above The Tie razors offer the best value for the dollar when it comes to stainless steel razors.